Every time PAX East takes place, it awakens the community to great effect, as it’s a good spot to go and talk to fellow gaming folk while enjoying getting hands-on with the latest forthcoming titles. Oh, and checking out panels and concerts too. Good news, it’s returning with a vengeance. The official Penny Arcade Expo website has revealed the dates for this year’s show, as it’ll be taking place from March 28-31, 2019 in Boston, MA at the Boston Convention and Exhibition Center. Single day badges for the event are currently on sale, though it appears that Saturday is sold out for the time being. They’re going for $57 per day. In addition, to commemorate the 10th anniversary of the event, the four-day show will also offer up an exclusive merchandise package that features a Level Up PAX East Dice Stand + Dice, limited to 1000 units and going for $75. There’s also an Office Set that goes for $55, which includes a pen cup, tape dispenser, tray and three pens with black ink. You can also purchase a Zipper Bag for $20. Guests for the event haven’t been announced yet, as the PAX team is currently focusing on the PAX South event that’s coming up in January in San Antonio. But we’ll know more as the months roll on. The team also made it clear that some of those that attempted to book hotel rooms through “a leaked link” won’t end up getting their rooms confirmed, as you can see from the tweet below. For any attendees who snuck in a hotel room using a leaked link, as a heads up that order will be cancelled and you'll want to grab a hotel room using the official link after it's released. Stay tuned! So, yeah, keep a close eye on hotels if you want to go to the event. You don’t want to be out of luck. 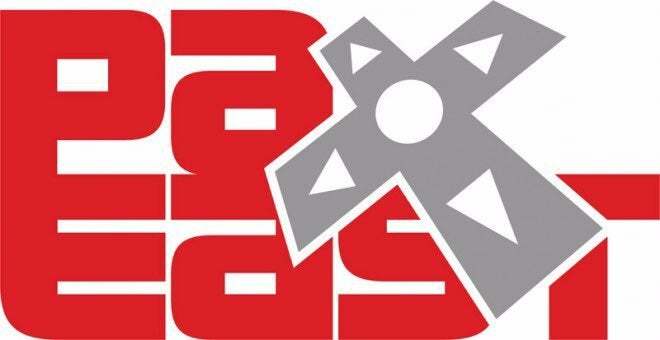 To learn more about PAX, be sure to visit this page. Good luck and we’ll see you at the show!